Ret advances into position to be able to strike next turn without taking massive casualties. Mirage goes on to the Sentinels. Kromac advances and throws out a rift which deviates into a pretty useless place. 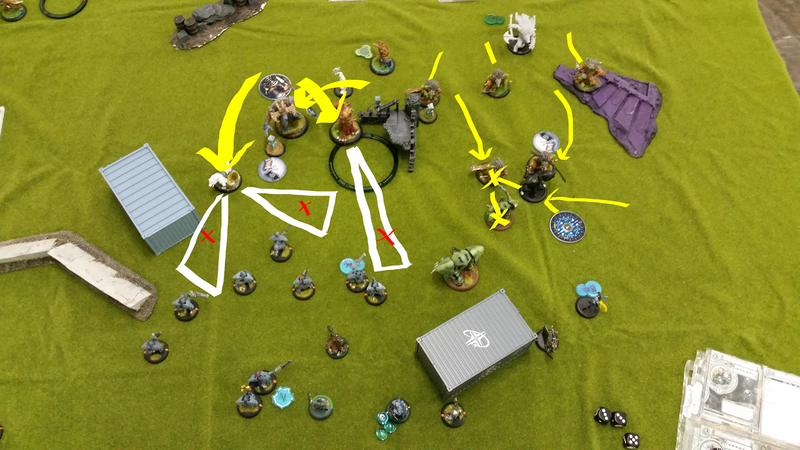 Winter Argus advances on the flank and with 2 sprays boosting to hit, kills 2 Sentinels. Ghettorx advances into a threatening position, just a little bit too close. Assessing the situation it was time to seize the opportunity my opponent created. Because Garyths main use of his feat against this list is limiting his teleportation and placement potential I needed to use the feat in a way that I could jam him up or slow him down. Since my opponent had placed his entire army relatively close it was the perfect time to take advantage of his over aggressive positioning. Mirage and Vengeance put the Sentinels into position to charge Ghettorix. The Griffon on the left side of the right flank takes 2 focus. 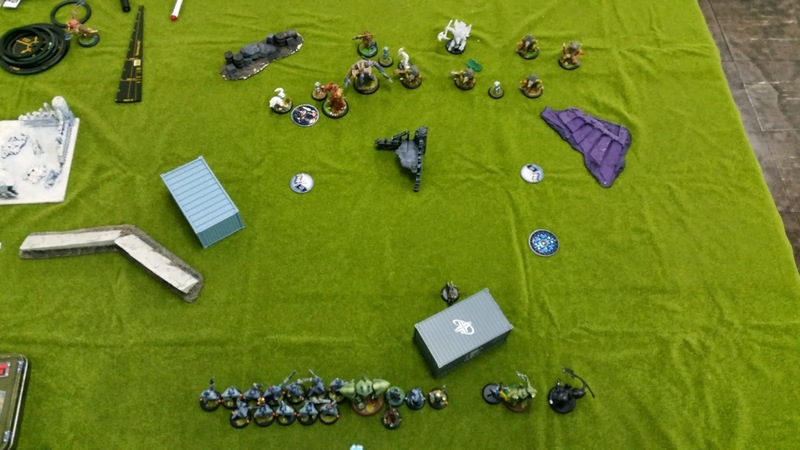 The Sentinels charge and leave Ghettorix on 4 hit points. Eyriss shoots off Invoiable Resolve from the back Skinwalker. Elara and the other Griffon kill the Skinwalker engaging the left hand side Griffon. The Griffon imprints for speed and charges, finishing off Ghettorix. Gayrth charges the Pureblood landing short as he knew he would and feats. 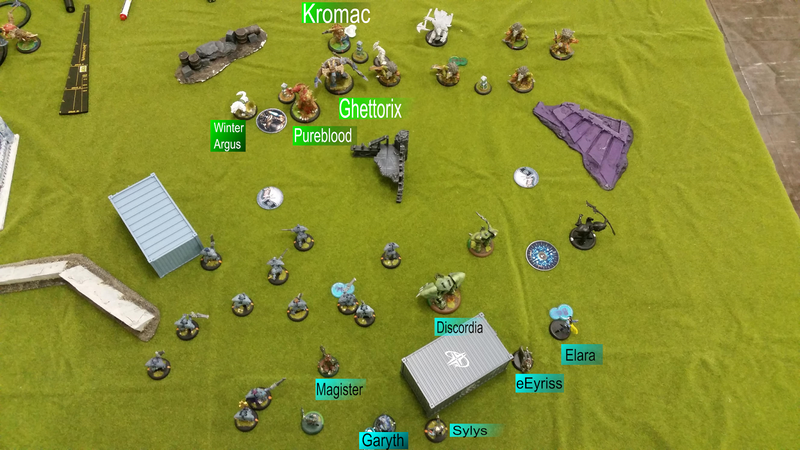 Discordia advances and puts a spray down just failing to kill a shifting stone and putting 9 damage on to Kromac which he transfers to the Winter Argus. 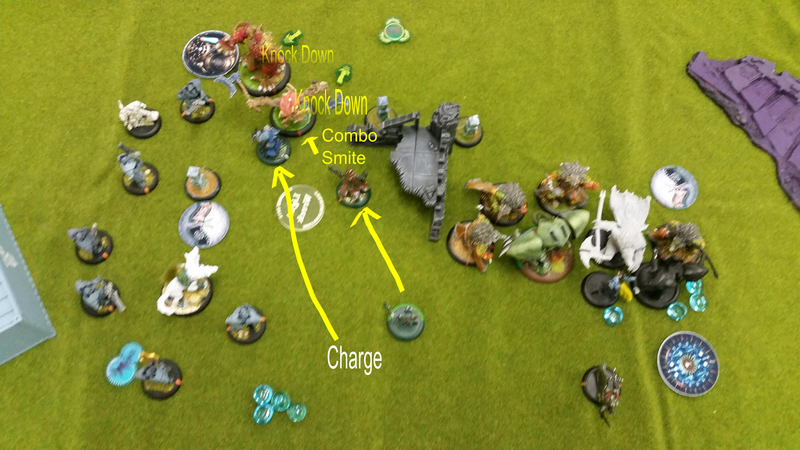 With Garyths feat up the Circle player cannot use his shifting stones, cast spells or even leap with Kromac. Circle player plans to simply kill the Griffon and deliver Pureblood to face. 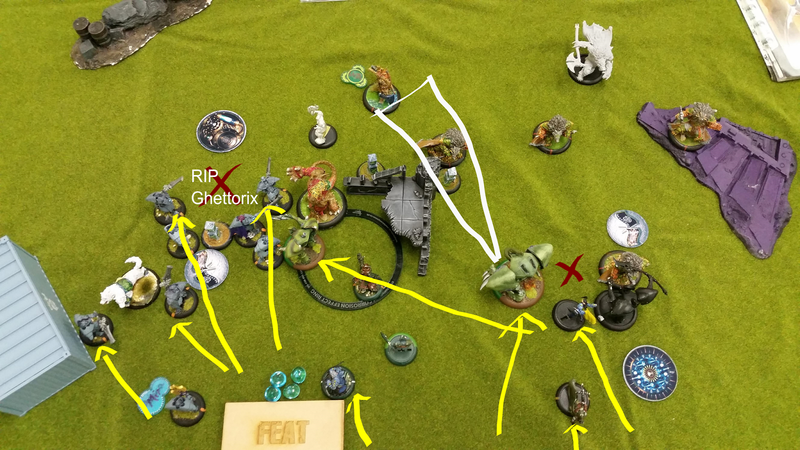 Somehow Kromac with feat couldn't kill the Griffon. I say somehow but I remember playing with Kromac back in the day and I remember him always failing to kill things and generally fail to achieve what I expected him to be able achieve. Winter Argus tries to clear out the Magister to no avail. Actually I suspect he used it on the Griffon too but his dice must have been so horribly bad if that was the case. Pureblood ends up having to kill the Griffon its damn self. Skinwalkers also fail to kill Elara. Good turn for Ret. The Magister goes first and executes an unlikely combo smite, slamming the Pureblood over Kromac. Garyth charges a knocked down Kromac and dispatches him. 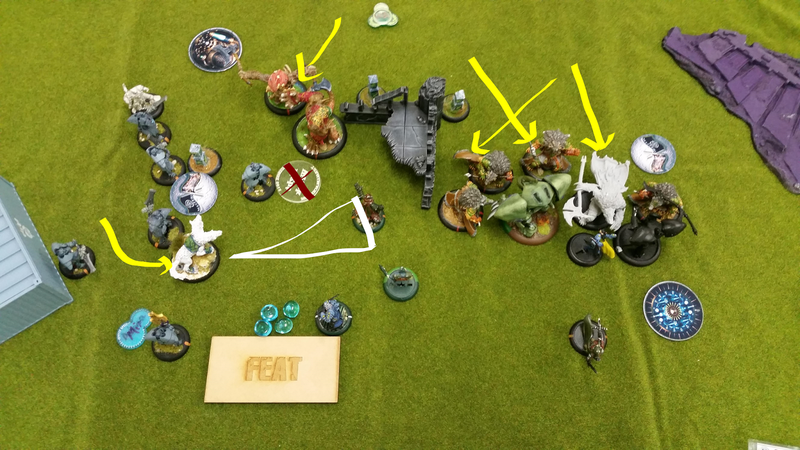 Garryth charges the Pureblood and lands short... and Feats? Feats after a failed charge? "Pureblood sprays a Sentinel" - cue the facepalm heard around the world. No Garyth feated then charged but I assumed we would all know that that was the correct activation order. I couldn't be bothered fixing it. Garyth vs Cygnar, Siege. Battle report.